We all know how important it is to make sure our skin is protected in the sun, so for many of us that means wearing sunscreen each and every day, especially on the face. But how do you apply it, avoid a white cast, and remove it at night time? I have put together this ultimate guide to answer all of your questions and more. If I could only give one skin care tip on preventing signs of ageing, it would absolutely have to be to wear sunscreen on your face every single day! Personally I wear natural sunscreen each day, no matter whether I know I'll be outside a lot or not. That way I have peace of mind about protecting my skin, and because it is an essential part of my daily skin care routine, I'll never ever forget to apply it. 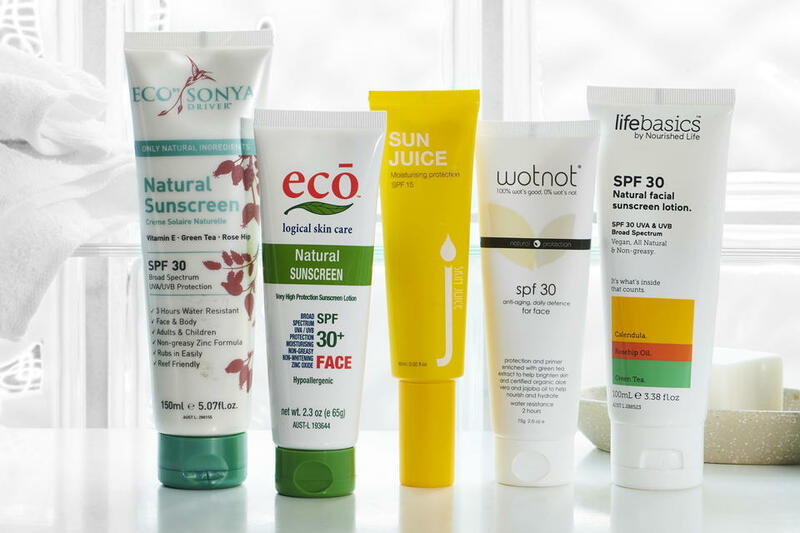 But a lot of us may not know where to start with facial sunscreens, especially when you don't want to upset your skin with something too heavy for daily use. Thankfully there are now plenty of natural facial sunscreen options to suit all skin types, and these sunscreens are gentle enough to be used by the whole family too. Ideally, the best way to apply a physical sunscreen is to clean and dry skin, and always at least 20 minutes before sun exposure. For those of us who do not wear makeup, this can be really simple and easy, especially seeing as many natural facial sunscreens also double as moisturisers. However, if you prefer wearing sunscreen beneath makeup each day, experts recommend applying physical sunscreen as the last step in your skin care routine before you move on to makeup — that means after moisturiser and before foundation. Applying makeup over the top of your sunscreen should not affect its effectiveness, especially if applied gently and smoothly without excessive blending. The mineral ingredients commonly found in foundations may also actually offer a small amount of sun protection anyway, by reflecting UV rays with a mineral barrier.1 Just wait a few minutes before applying makeup to allow your sunscreen to absorb, and always remember to follow the directions of your chosen sunscreen and reapply as often as recommended. Natural physical sunscreens are different to chemical sunscreens in that they use minerals to create a reflective barrier against UV rays, rather than through UV-absorbing chemicals. This means that natural zinc sunscreens can actually sometimes leave a slight white cast on skin, but we should remember that this actually a good thing! It means you have applied enough for adequate protection — the Cancer Council recommends that approximately seven teaspoons of sunscreen should be applied to cover the entire body (including the arms, legs, torso and face.) One of those teaspoons should cover both the face and neck. 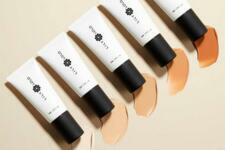 Having said that, not everyone wants a ghostly or 'pasty' finish, especially for everyday use. Thankfully, most physical sunscreen formulations nowadays are actually much more subtle, sheer and lightweight than the older, thicker and heavier types of natural sunscreen, like zinc cream. In any case, to avoid the ghostly look and really nail the art of applying sunscreen without a white cast, just make sure you follow the directions of your facial sunscreen as outlined on the label and work it into your skin as much as recommended. 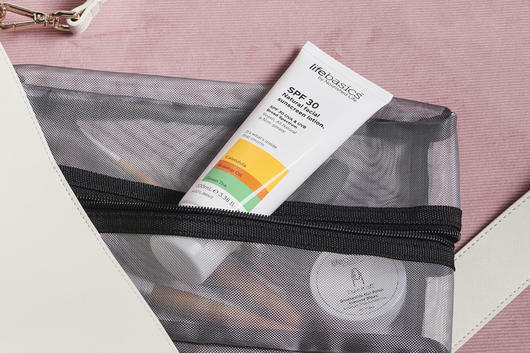 Another great tip is to always make sure to allow some extra time for your facial sunscreen to absorb before applying makeup. The best way to remove zinc sunscreens can actually be double cleansing. The double cleansing method involves firstly using an oil-based cleanser, such as a liquid oil or cleansing balm, followed by your regular cream, gel or foam cleanser. Double cleansing your skin can actually help to dissolve the protective mineral barrier created by physical sunscreens, leaving your pores feeling more clean, fresh and purified than if you were to simply rinse your face with water. The first step — an oil-based cleanser — breaks down and melts away any sunscreen, skin care or build-up sitting on the surface of the skin. For this process, it is best to also use a warm muslin cloth or konjac sponge. Start by applying your cleansing oil or balm to the skin, and massage in thoroughly with your fingers, working in circular motions. 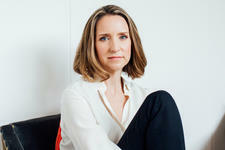 Then, using your cloth or sponge, gently remove all the residue from your skin, wiping the face in gentle, upward motions. Don't forget to rinse your cloth and hang to dry after each use. 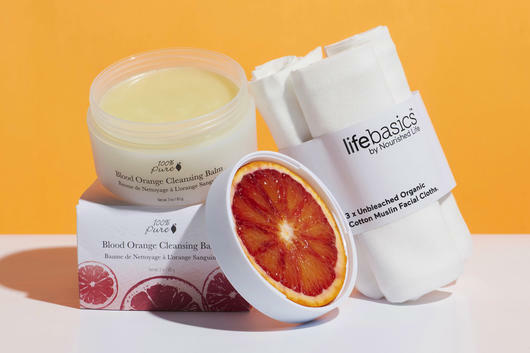 My favourite oil-based cleanser for this step is the 100% Pure Blood Orange Cleansing Balm, which is suitable for all skin types, including oily and combination skin. For step two, simply follow with your favourite regular facial cleanser for your skin type — this can be in the form of a cream cleanser, gel or foam. This step helps to remove any residue traces of sunscreen still left behind, even after oil cleansing, and also works to restore balance to your skin type, leaving your face fresh and prepared for any overnight skin care treatments so they can really sink into your skin without being blocked by a barrier of sunscreen! 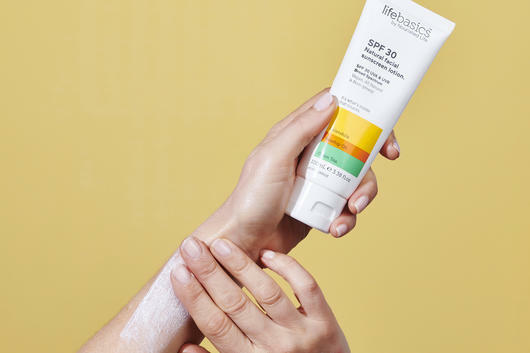 Specially designed for daily facial use, the Life Basics - SPF 30 All Natural Facial Sunscreen is a lightweight and non-greasy sunscreen lotion which also acts as a makeup primer, leaving a beautiful satin finish on the complexion. This nourishing formulation is also vegan, and contains soothing Calendula, antioxidant-rich Green Tea and moisturising Rosehip Oil to hydrate skin, with a gentle scent from Rose Geranium. To use, apply generously to skin 20 minutes before sun exposure - enough so that it is visible until you rub it in. 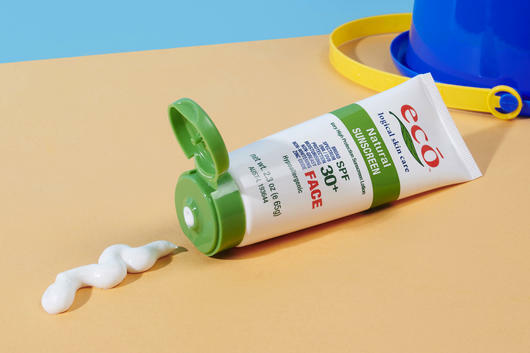 Also designed to feel more like a moisturiser than a sunscreen, the Eco logical Face Sunscreen SPF 30+ can be worn underneath makeup as a foundation primer. Non-greasy, silky smooth and hypoallergenic, this antioxidant-rich formula moisturises skin to help prevent premature skin ageing and keep the complexion looking youthful. Apply liberally to the face before makeup application, or use on its own. Thanks to its invisible, non-greasy finish, the Eco Tan Natural Sunscreen is another great daily facial sunscreen which absorbs beautifully into the skin. With up to three hours of water resistance, this nourishing formula can help to prevent sun damage and premature signs of ageing, and is enriched with revitalising Vitamin E, Green Tea and Rosehip to care for skin. To use, apply evenly all over the face at least 20 minutes before sun exposure. 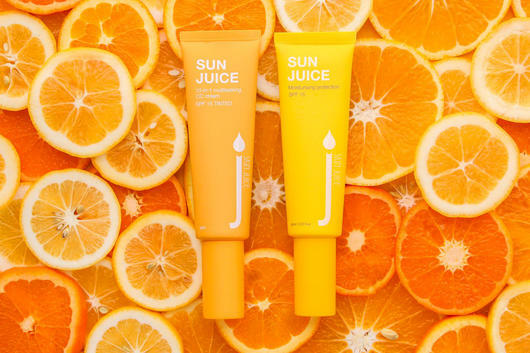 Great as a daily SPF 15 facial moisturiser, the Skin Juice Sun Juice Mineral SPF 15 can be worn on its own or over the top of your usual face cream. Gentle and hydrating, this natural moisturiser with SPF is suitable for all skin types and is packed with superfood ingredients like Kakadu Plum, Avocado, Kiwi Fruit and Green Tea to replenish and brighten skin, while Zinc Oxide works to provide broad spectrum protection. This sunscreen is not waterproof and will provide three hours of sun protection before reapplication is needed. Also available in a tinted version! With a smooth, matte finish, the WOTNOT 30 SPF Anti-Aging Facial Sunscreen & Primer primes skin to create a flawless base for makeup, and also provides up to two hours water-resistant sun protection. Antioxidant and vitamin-rich ingredients such as Organic Aloe Vera, Jojoba, Vitamin E and Green Tea work to hydrate, brighten and even out skin tone, while the addition of COSMOS-approved plant collagen can actually help to reduce the appearance of fine lines and wrinkles. 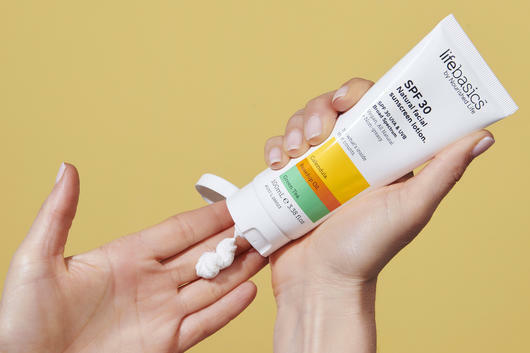 Ideal for even the most sensitive skin types, this sunscreen can be applied each morning before makeup, 20-30 minutes before going out in the sun. Sources: Cancer Council Australia, Vogue Australia.